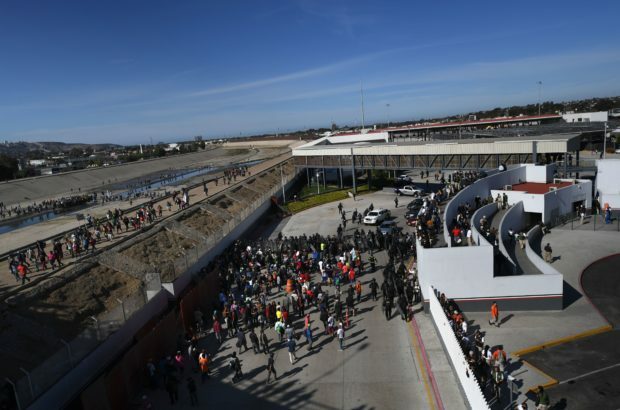 U.S. Customs and Border Protection officials closed the San Ysidro port of entry in the wake of several hundred migrants who tried to storm the border between Tijuana, Mexico and the San Diego area on Sunday afternoon. 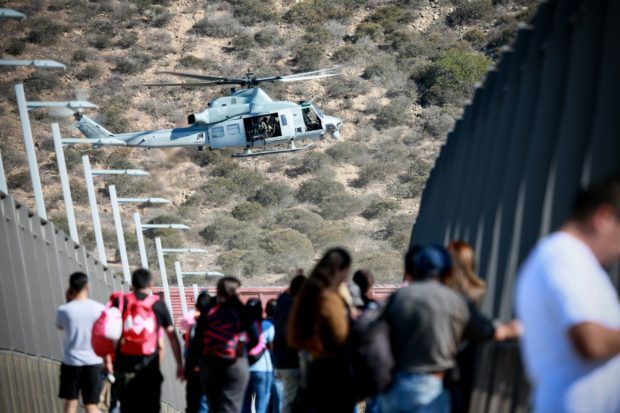 Tear gas was fired at the oncoming migrants from the U.S. side, Fox News reports, and the migrant group — comprised of mostly men — dispersed in less than an hour. Officials were able to clear the port of all vehicles later in the day. JUST IN: @cbp has shut down all 26 vehicle lanes and 22 pedestrian lanes at the largest border crossing in America as migrants from the caravan storm the San Ysidro port of entry in San Diego/Tijuana. Port normally sees 70,000 cars pass over daily. President Trump earlier Sunday called for Mexico to stop oncoming caravans long before they get to the United States border, blaming the problem on Democrats in a Sunday tweet.